Talk about a rough night. A southern Maryland man was recently arrested for DUI and multiple other traffic offenses. Police came in contact with the man after he was pulled over for unsafe lane changing. Upon contacting the man, the Maryland State Trooper noticed the odor of an alcoholic beverage coming from the driver’s breath. After conducting a DUI investigation, the trooper arrested the man and charged him with DUI, negligent driving, and unsafe lane change. The driver was also given a breathalyzer test at the police station, where his blood alcohol content registered .15, nearly twice the legal limit. A DUI arrest and multiple traffic tickets would certainly have ruined anyone’s evening, but the southern Maryland man’s night was far from over at this point. The man was arrested at about 2 a.m. and taken to the police station in St. Mary’s County, Maryland. Rather than holding the man overnight, police were kind enough to release the man on his own recognizance less than two hours later. No bail bond was necessary, and police did not wait for the man to sober up, but rather allowed him to call for a sober driver to pick him up. It is unclear whether the man actually got a ride from the police station or if he simply walked home, but the man’s car was still in the tow lot at the time he was released from the Maryland police station. Here is where the southern Maryland man’s night went from bad to historically awful. At about 4 a.m. the same Maryland State Trooper was called to perform a DUI investigation in a shopping center parking lot, which was the exact scene where he had just arrested the man for DUI 2 hours before. Unbeknownst to the trooper at the time of the call, the suspect turned out to be the same man that the trooper had just arrested. When the trooper arrived to the shopping center he discovered that the same man he had just arrested was driving a different car, and was slightly less intoxicated, but still well over the legal limit of .08. The southern Maryland man was arrested yet again for DUI, and this time blew a .11 on the breathalyzer machine. The southern Maryland man’s night could have certainly been worse; he luckily did not get into a car accident and injure himself or anyone else, in either of the drunk drives that he engaged in that night. But the man was arrested for two separate DUI cases, and ticketed for attempting to drive within 12 hours after a DUI arrest, which is illegal under Maryland law. The man will undoubtedly face heavy fines and a license suspension, but the real concern for the man should be the minimum mandatory jail sentence that he will face if he is convicted in the two DUI cases. Under Maryland law, a second DUI conviction within 5 years results in an automatic minimum mandatory jail sentence of 5 days. This jail sentence cannot be waived by a Maryland judge. While the man will not win an award for the smartest human being in St. Mary’s county, his behavior is not as egregious as it seems. Is it not far worse to be arrested for DUI, sober up and have time to think about your actions, and then get drunk again and go out and drive? There is a reason that police departments hold intoxicated individuals for a few hours while they can sober up, and in this case, the Maryland police officers should have made the man wait at least a couple of hours before he was released. The southern Maryland man still made a decision to get back in the car and drive, but police officers in this case should have known better than to release the man at 4 in the morning, when he had shown no hesitation to drive drunk just 2 hours before. If the man had gotten into an accident and injured somebody else, a case could be made that the police department was liable, but that appears to be an issue for a personal injury blog article at another time. 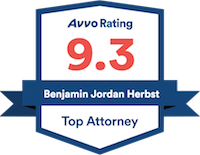 Benjamin Herbst is a Maryland DUI lawyer, who handles first and second DUI and DWI cases in Baltimore, and throughout Maryland. 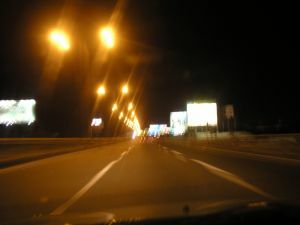 If you have been arrested for DUI contact the Maryland DUI attorneys at The Herbst Firm for a free consultation. Man charged with DUI twice in two hours, SoMdNews.com.